A brand-new online demo is live on MANTA’s website. Read more about it and, most importantly, check it out. Finally! You may have noticed that our development center is producing new versions of MANTA like a well-oiled machine! The guys here in Prague are adding more integrations, releasing new versions of connectors, and working on customer demands on a daily basis. But what was missing? An updated online demo! And it’s finally here! In the demo section of our website, you can play with an up-to-date MANTA, including all the new features in our latest release. 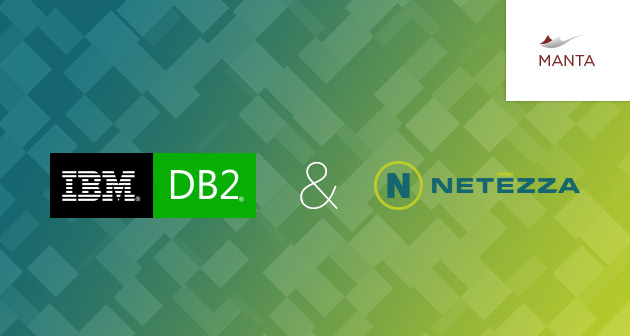 Explore the two newest database integration family members: IBM DB2 and IBM Netezza. We’ve also massively updated the parsers for all the other technologies you can try in the online demo – Teradata, Oracle and MSSQL. You can now also export generated lineage to CSV files and search in the source code. And that’s not all, the brand-new demo has all the enhancements of the visualization itself, such as a clever division of loooong horizontal columns and new shiny colors. So take a seat in the first row and imagine what it would be like to be a proud owner of MANTA. But is there really a difference between the demo and the real thing? Well technically no, but there are some features that you probably won’t enjoy unless you actually have your own little MANTA; for example, features that would require those complex scripts that your company stores, that you might not want to upload onto our web demo… but we both know there’s only one solution to that one, right? Contact manta@getmanta.com to find out how to become a proud owner of your own little MANTA.